Helping clients facing DUI, drug crimes, serious traffic offenses, domestic violence, theft and other criminal charges for over 25 years. Being accused of driving under the influence is no laughing matter. Indeed, DUI cases are among the most seriously prosecuted in the state of Georgia. If you or someone you love is currently facing DUI charges, contact Ralph M. Hinman, Attorney at Law now. It goes without saying that drug charges are among the most serious a person can face. If you’ve recently been accused of possessing, selling and/or manufacturing an illegal substance, contact Ralph M. Hinman, Attorney at Law immediately. Attorney Ralph M. Hinman has helped Georgians with criminal defense cases from speeding tickets to murder. His practice is now primarily devoted to DUI, drug crimes and serious traffic offenses. Ralph also handles driver’s license issues, such as suspensions and revocations. Georgia laws regarding serious traffic offenses are often legally complex and financially taxing. Having represented Georgia residents for more nearly 40 years, attorney Ralph M. Hinman has the experience and know-how necessary to help you move forward. Call (706) 278-2488 to speak with a Whitfield County criminal defense lawyer. In the state of Georgia, DUIs are taken very seriously. Penalties vary depending on a number of factors — whether this is your first DUI, for example, or whether or not someone was injured when you drove drunk. No matter what the details of your case may be, you need experienced legal counsel to protect your rights. Whether you’ve been accused of drug possession, distribution/trafficking, or manufacturing, you could be facing serious consequences. With over 40 years of experience counseling Georgia clients in drug-related cases, Ralph M. Hinman, Attorney at Law has the experience you need to get you through this time. Domestic violence charges are not to be taken lightly. In addition to the emotional turmoil involved, you could also find yourself facing a restraining order and/or jail time. If you’ve recently been accused of committing domestic violence, contact an experienced criminal defense attorney today. There are numerous types of theft in the state of Georgia. From petty theft to burglary, to theft by conversion and theft by deception, laws governing theft are exceedingly complex. If you’ve recently been accused of committing theft, contact Ralph M. Hinman, Attorney at Law as soon as possible. 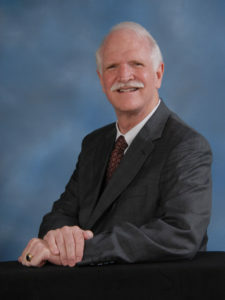 Attorney Ralph M. Hinman has been a practicing criminal defense attorney in Dalton and northwest Georgia since 1987. A graduate of Emory University and the Walter F. George School of Law at Mercer University, Ralph was admitted to the State Bar of Georgia in 1981.